Unit trusts have long been considered low risk investments. In your Chama if you have some money saved up, consider investing in a unit trust. This is especially good for you if your members don’t have the time or the money required to invest on the stock market it’s a good idea to have a look at unit trusts – a simple and effective way of saving money over time. However, don’t put all your eggs in one basket and use this as one of your long term investment vehicles in your portfolio. Old Mutual is an established multi-national insurance company offering this investment locally. In the past, this type of investment was reserved for the rich and you could not invest in Unit Trusts with less than 250,000 shillings. But today, you can do it with as little as 10,000 shillings. And the returns are simply amazing. Imagine you can get as high as 10 percent per month. Picture that. Milly Wanjiku a financial advisor at Old Mutual says that although this is a sophisticated investment, you can do it with your Chama comfortably. If you have a lump sum of money, besides fixed deposits, another place you can place your money is in unit trusts. The beauty about these is that you don’t need to have an in-depth knowledge of the market, it’s the perfect way of building a balanced investment portfolio, it’s much better than saving your money in a bank account where you’ll only earn a small interest amount. So, what are unit trusts? Unit trusts allow a large group of people to pool their money into the money markets. Because your investments are spread out the overall risk involved in trading on the stock market is reduced. Each unit trust is managed by a fund manager and requires a certain minimum amount from you each month. This amount can be as little as Kshs.1,000. But you are free to top up with any amount you feel comfortable with. 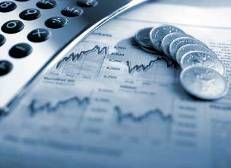 You may be wondering, why invest in unit trusts? Well, for starters your money is secure as it will be handled by professionals. The fund managers who take care of your unit trust funds have access to information and statistics from leading economists and analysts. They are in a much better position to identify opportunities for your investment to grow. Also, unit trusts allow you to broaden your investment portfolio. Another advantage is that unit trusts are simpler, more convenient and less time-consuming than other investments. All the paperwork that comes with managing your own portfolio of shares and bonds is handled by the fund manager. Plus, it is affordable and flexible. The minimum initial investment amount is low compared to investment in shares and bonds. Additional investment can be made in even smaller amounts than the minimum investment amount. However, keep in mind that once the chama puts this money into unit trusts, this is not a short term investment. Thus they should not expect overnight returns. You need to keep your unit trusts for a period of between 3 to 5 years to see a satisfactory return. Because you aren’t investing huge sums of money, you should give your investment time to mature and overcome the fluctuations of the stock market. Your wealth will grow slowly but you’ll benefit from the long term growth of the market. As a Chama, if you are serious about investing and growing wealthy, look into unit trusts and watch your money grow. Never get tempted to spend your earnings; Forget about it! Leave it. After 5 years you will have accumulated a nice sum of money that you can always re-invest. To get started on unit trust investment you can visit the offices of Old Mutual located in Upperhill and contact a financial advisor who will help your Chama. How much can 100k fetch within a period of three years in unit trust fund.